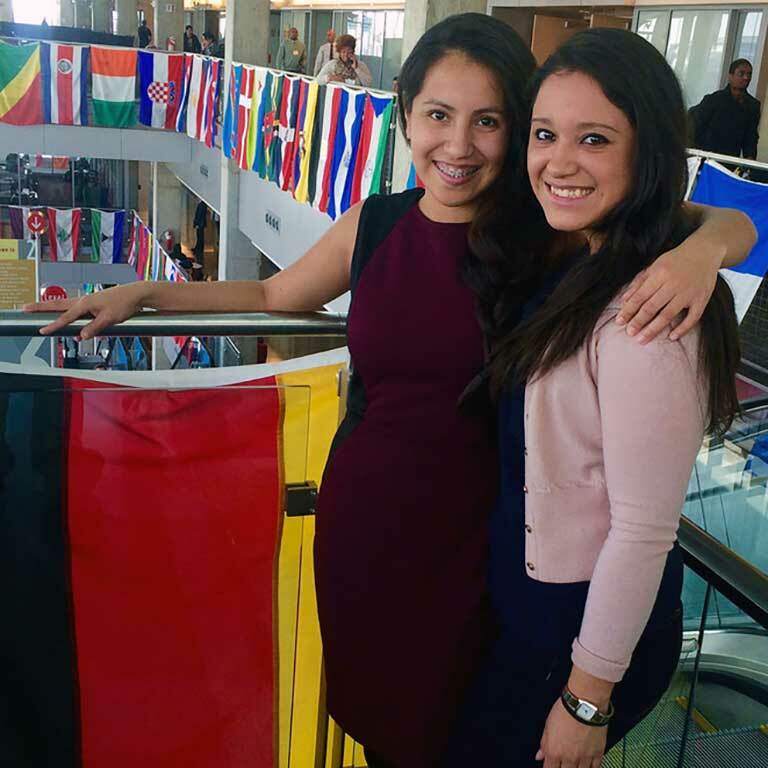 IUPUI alumna-turned-staff member Mariana Lopez-Owens is living her American dream. Lopez-Owens graduated in 2014 from the IUPUI School of Liberal Arts with a bachelor's degree in Spanish and Global and International Studies. In 2017, she received her Master of Public Affairs from IU's School of Public and Environmental Affairs. Shortly thereafter, she returned to IUPUI to join the staff of the Richard M. Fairbanks School of Public Health. "As a first-generation, low-income student, attending IUPUI was life changing. Had it not been for all of the opportunities afforded to me at IUPUI, I wouldn't have had the support I needed to achieve my dreams," said Lopez-Owens. Her path toward Indiana and IUPUI began more than 1,700 miles from Indianapolis. In 1999, when she was seven years old, Lopez-Owens and her family embarked on a journey that would alter the course of her life —their lives — forever when they left their home country of Mexico for the United States and the promise of a better life. The family entered the U.S. in January 2000 and eventually put down roots in Indianapolis. "Our mother continues to instill values tied closely to resilience and innovative solutions," said Lopez-Owens. "She silences anyone who says something can't be done, and supports us by allowing us room to pursue any dream we have." Another critical turning point came when Lopez-Owens and her sisters were adopted by her stepfather, which led to their U.S. citizenship. 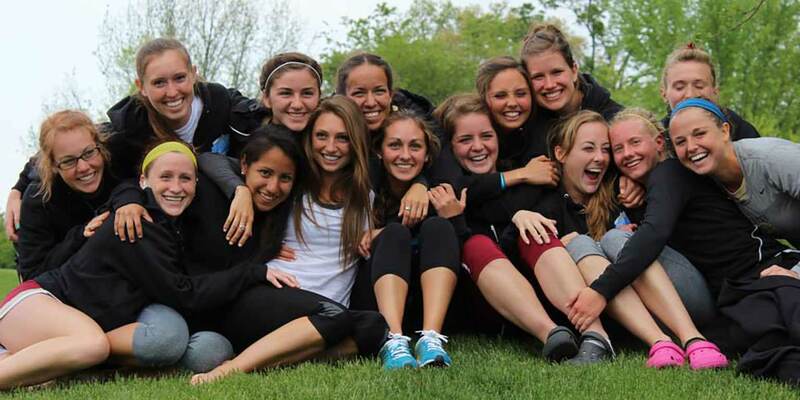 After her graduation from North Central High School, scholarships helped launch her collegiate career at IUPUI, where she joined her older sister, who is also an alumna. While a student at IUPUI, Lopez-Owens made significant contributions inside and outside of the classroom. In addition to her dual major and double minors — in Latino studies and sociology — she was a member of the IUPUI Jaguar's Track & Field and Cross Country teams. She served as president of the Latino Student Association and the Student Athletic Advisory Committee. 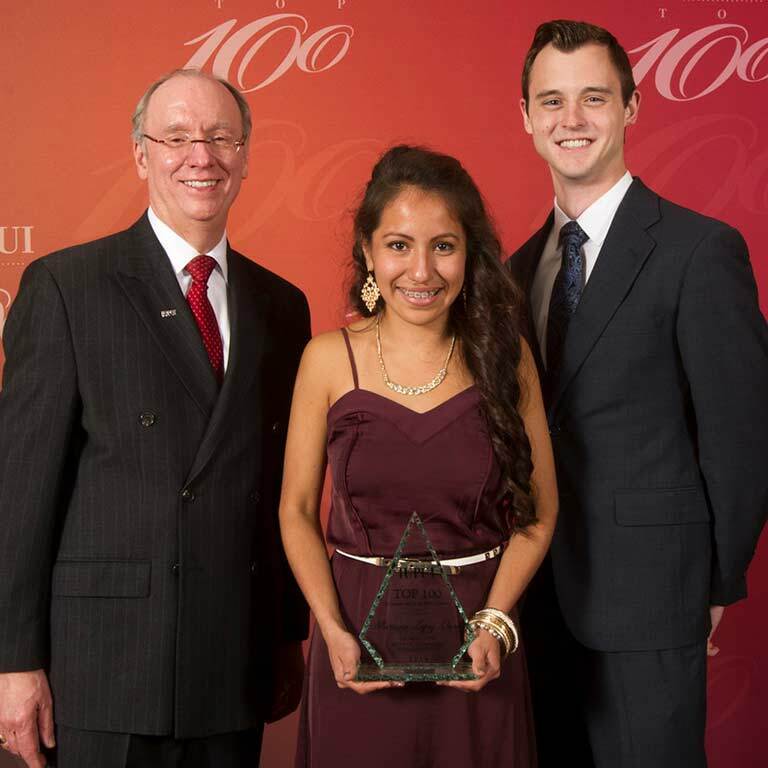 In 2014, Lopez-Owens was named IUPUI's Most Outstanding Female Student in recognition of her outstanding academic achievements, campus engagement, and civic and community service. The following year, she received the William M. Plater Civic Engagement Medallion for her above-and-beyond commitment to the community as an IUPUI student. "I am thrilled to be back at IUPUI as a staff member so I can be an advocate for all students," Lopez-Owens said. "As a project manager at the School of Public Health, I'm working on a study designed to improve the health outcomes of underserved communities, which allows me to be of service to people who need help the most. It is such a pleasure to give back to my community, because it has nurtured me so much." 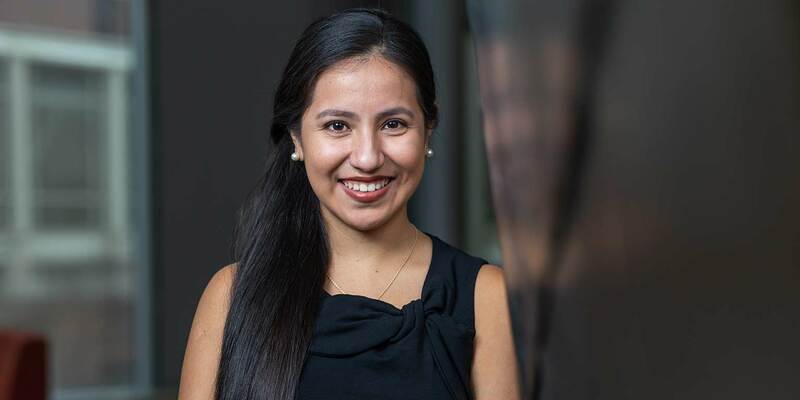 In addition to her role as project manager at the School of Public Health, she is also an English as a Second Language instructional assistant and an active volunteer at the Immigrant Welcome Center.